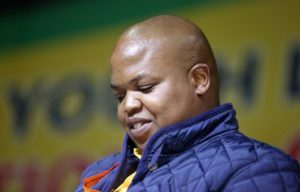 Collen Maine is the African National Congress Youth League President. He was nominated for the position of ANCYL president unopposed at its 25th national congress which held in Midrand, Johannesburg. No one is sure of his age as the African National Congress Youth League (ANCYL) refused to provide those details. The league says Maine is older than 35, it says he can still continue to lead the organization because other former leaders also did the same. Maine was a member of Parliament representing the ANC. He joined the National Assembly in 2009 and served on a number of committees. According to the 2014 figures, he was believed to have earned approximately R1.6-million per annum.